This lovely necklace was created using a 2 1/2 X 1-inch antique silver flower connector pendant, from which I hung 8mm round snakeskin jasper stones, capped with beautiful flower petal end caps. 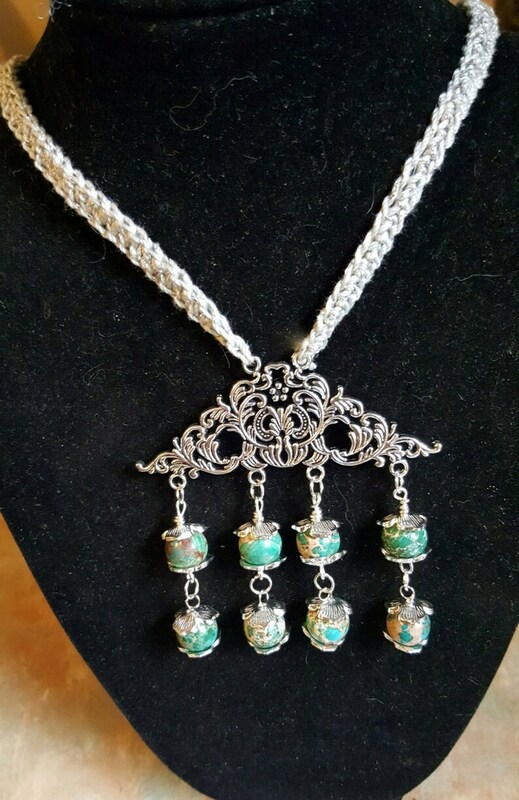 Each of the 4 loops on the pendant has dangles of 2 stones each. The "chain" from which the pendant hangs, was done using silver crochet thread. Very Bohemian!